Hand Dyed Indonesian Rayon Ribbon 2 for 1! All fibers are pre-washed. I use only high quality Procion Fiber Reactive Dye. My rayon fibers are washed, dried and ironed after dying. Then cut and rewashed for frayed edges. 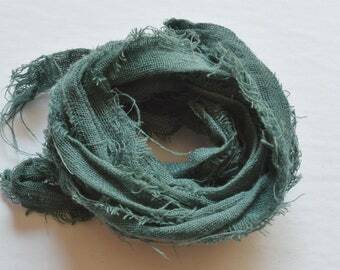 56 inch length, .5 to 1 inch width, edges unfinished as straight cut or frayed, rustic, great for bracelet wraps. Perfect for making your own tassels too, see last photo for sample. 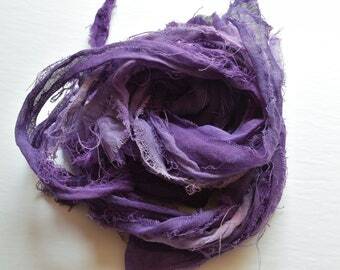 This is very similar to recycled sari silk. **Inventory Close out - was $3.95 each, now $4.95 for 2! I am bringing this art process back into my creations that incorporate fibers, and offering it to you for your creations. Rayon Ribbon, Hand Dyed, Frayed, Teal Blue/Green, 56 in. 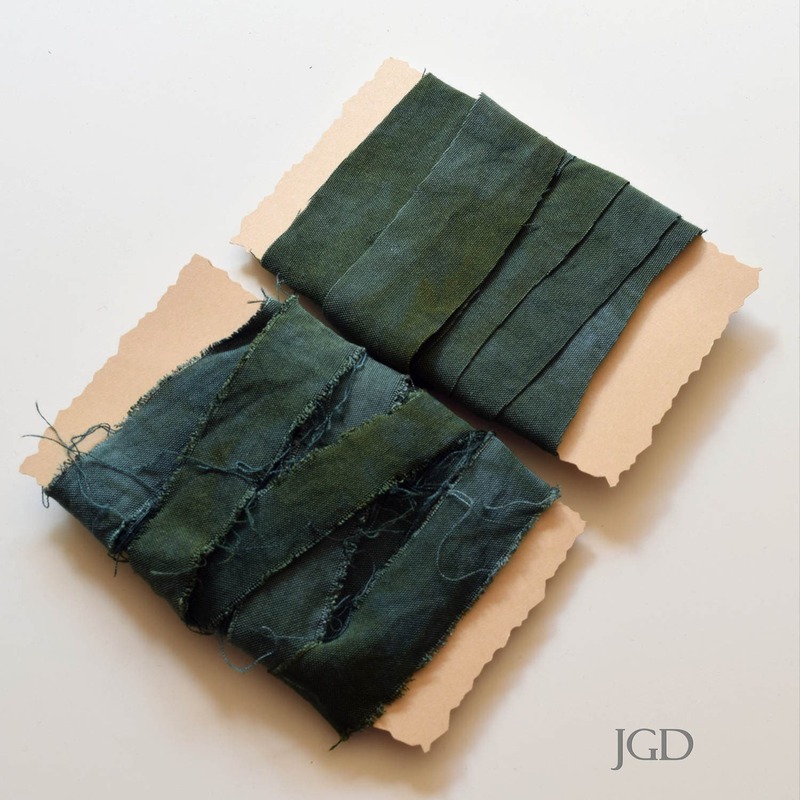 Jewelry Making, Crafts, Fiber Projects, DIY. Back In Stock!